It is one of the greatest family musicals of all time and now a lavish new production of The Sound of Music is set for a return to Cardiff’s New Theatre. Playing the iconic role of Maria, a role that has previously won her rave reviews is The Voice finalist Lucy O’Byrne. Lucy became a household name when she was the runner up of BBC One’s The Voice in 2015. With Will.i.am as her mentor Lucy became the first classical signer to reach the final, impressing the nation with her stunning range. She went on to win rave reviews for her performance as Maria Von Trapp in the 2016 UK touring production of The Sound of Music, being hailed as “quite possibly the best Maria since Julie Andrews herself” (The Scotsman). Following the tour Lucy won the coveted role of Fantine in Cameron Mackintosh’s Les Misérables. Joining Lucy as Captain Von Trapp is former EastEnders actor and West End star Neil McDermott. Neil is delighted to join this production of The Sound of Music having previously played the role of Rolf at the London Palladium. Neil played the recurring role of Ryan Molloy in EastEnders between 2009 and 2016. Other television appearances include The Royal, Rosemary & Thyme, Doctors and Casualty. As well as his work on the small screen, Neil is a regular on the stage, with starring roles in the West End including Chief Weasel in The Wind in the Willows (London Palladium); and Lord Farquaad in Shrek (Theatre Royal Drury Lane). It all began with the story of the Trapp Family Singers and Baroness Maria von Trapp’s 1949 autobiography that inspired Richard Rodgers, Oscar Hammerstein II, Howard Lindsay and Russel Crouse to create a Broadway musical in 1959. The Sound of Music tells the true story of the world-famous singing family, from their romantic beginnings and search for happiness, to their thrilling escape to freedom as their beloved Austria becomes part of the Third Reich at the start of WWII. The score features some of the most memorable songs ever performed written, including Edelweiss, My Favorite Things, Do-Re-Mi, Climb Ev’ry Mountain, So Long, Farewell’ and the title song, ‘The Sound of Music’. Produced by Bill Kenwright this critically acclaimed staging of the most heart-warming of musicals will delight. 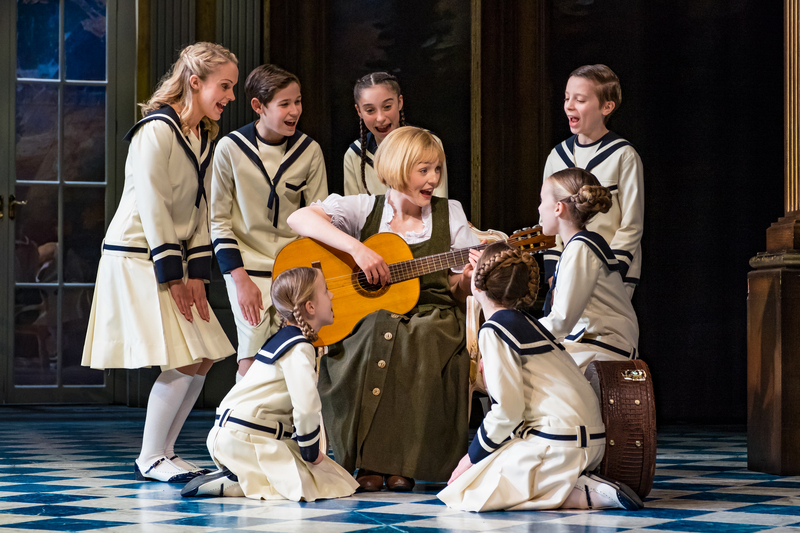 The Sound of Music plays at Cardiff’s New Theatre from 13 – 17 February. For full details and to book tickets, visit newtheatrecardiff.co.uk or call the Box Office on (029) 2087 8889.